I don’t really consider myself a beauty expert nor do I even use many beauty products. Occasional visits to the spa for hair and body are all that I do in terms of maintaining a beauty regime. I try and use home made packs as frequently as I can (which is not very frequent because I am super lazy). The entire process of putting together different natural ingredients and making a face pack is too cumbersome for me. I’ve always wanted to stick to a routine at least bi-weekly but I keep pushing it because it is just too time consuming, and no matter how well I plan my day I always find myself behind schedule. In the hope that ready made packs (that are available in the market) would allow me to stick to a beauty regime, I purchased and tried out a few, but none of them appealed to me (or to my skin) quality wise. 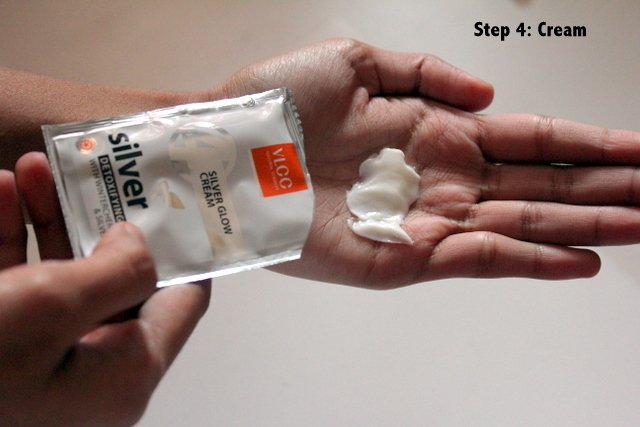 I was back to square one (of doing nothing to take care of my skin) when VLCC sent me their VLCC Silver facial kit for trial. The stress of planning for new projects, sleepless nights and an over analytical mind that can never completely rest even when asleep, have all taken their toll on my skin. Since the start of the New Year, I’ve woken up everyday to a dull, lifeless and tired looking face. Not what you’d call a good start to the year! 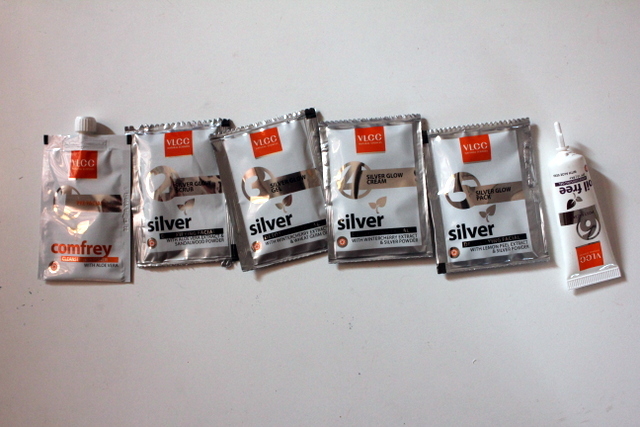 The VLCC Silver facial kit comes in a neat little box, with a 6 step facial system, and a packet for each step. Even for someone who doesn’t get frequent facials, this home facial kit would be super easy to use thanks to the way it has been presented. 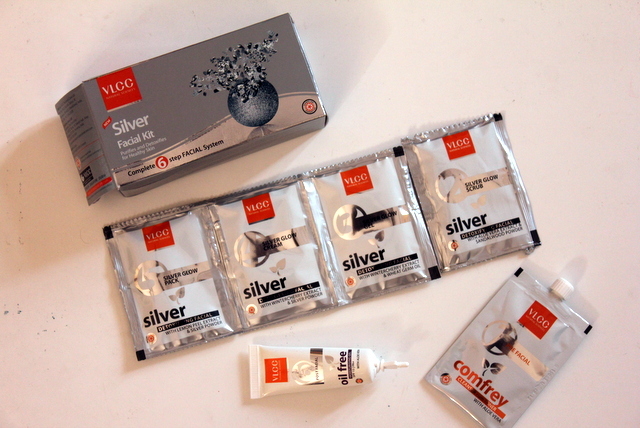 The Silver facial kit is made for purifying and detoxifying your skin. The only problem I found was that the ingredients that were specified at the back of the box were different from the sachets that were provided. I am not sure if it was a print mistake on the box or if the wrong sachets were placed in the wrong box. Nevertheless each packet has instructions on the back, so I decided to follow those instructions and just chuck the box aside. 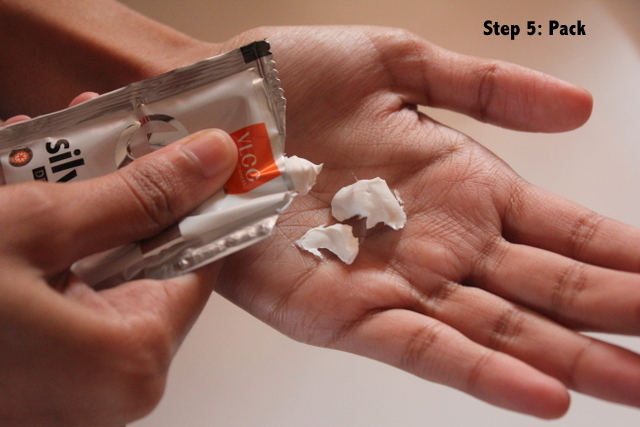 The ingredients in each of the 6 sachets help against various aspects like, the aloe vera extract and the sandalwood powder in the scrub helps remove dead cells and skin impurities. The wintercherry extract and wheat germ oil in the Gel helps restore the skin’s pH balance and prevents blackheads. 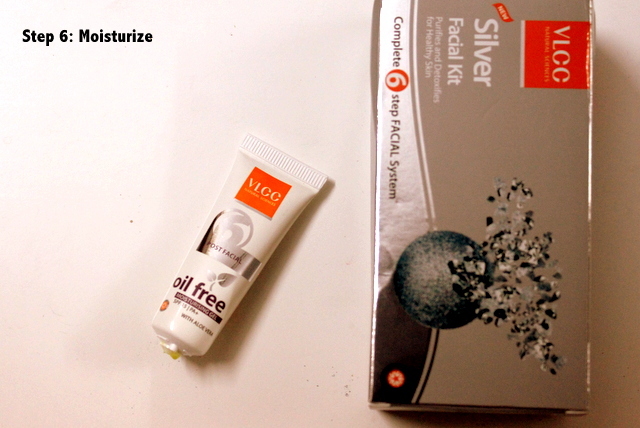 The cream is enriched with wintercherry extract and silver powder to fight against dull skin and provide nourishment. And finally the orange and lemon peel extracts of the mask help maintain the skin moisture level, remove impurities and even out the skin tone. The pack also contains a post facial moisturizing tube which has an SPF 15 with PA+ that protects from harmful UVA and UVB rays. I tried the entire facial system once, in the hope that it removes some of the dullness from my skin and it totally woke my skin up. My face ended up looking fresh, feeling soft and bright for the next three days straight and I could notice a visible difference. If you are looking for something that leaves your skin fresh, clean and moisturized with a bright glow then this would definitely work!